Hallo! How goes it? It was a nice relaxing weekend but it felt very short. I start gym and more work tomorrow! Need to make a new drawing for Kookyrabbit too. 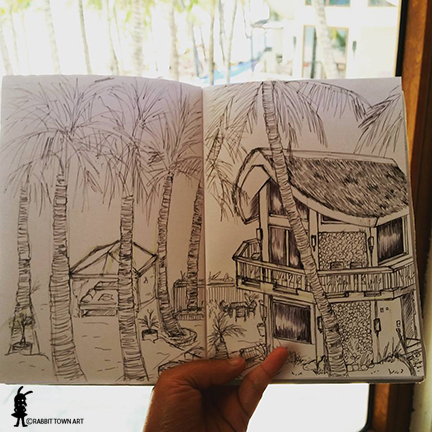 This is a drawing from the hotel window in Boracay, Philippines. It was so humid there that sometimes the most relaxing thing to do is just stay in a room with an air conditioner. 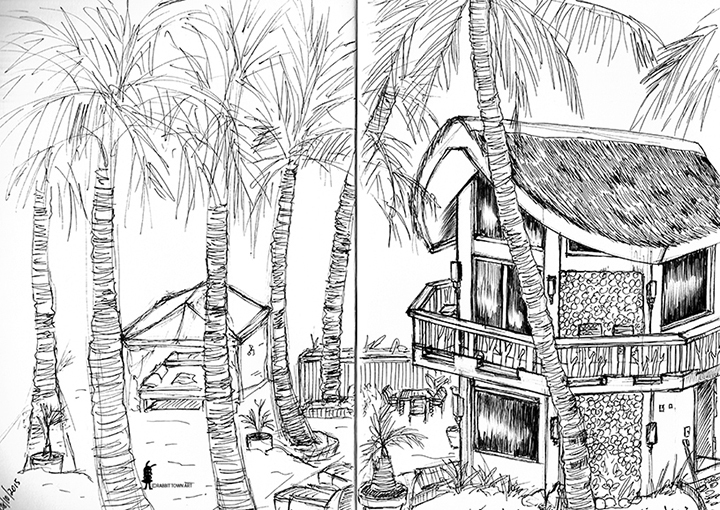 I did like the place we stayed at in Boracay though! Well, time to draw and relax a bit more and prepare stuff for tomorrow morning!